The Find Me tool shows the user’s location on the map. The location is reported by the user’s browser (with their consent) and works on desktop computers and mobile devices. In the example below, the user’s location is shown as an orange marker and the accuracy bubble of the location shown as a blue circle. 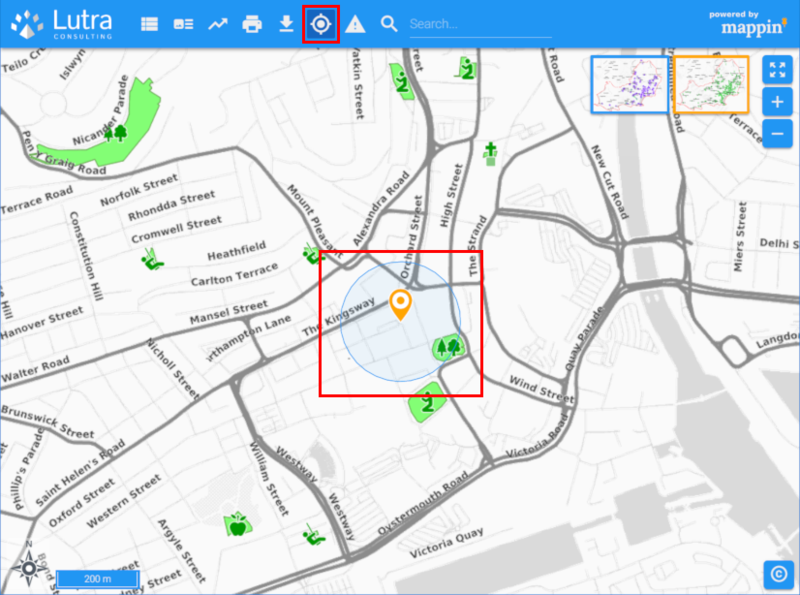 While the Find Me tool remains activated, map will follow the user’s position (shown on the map) in real-time. 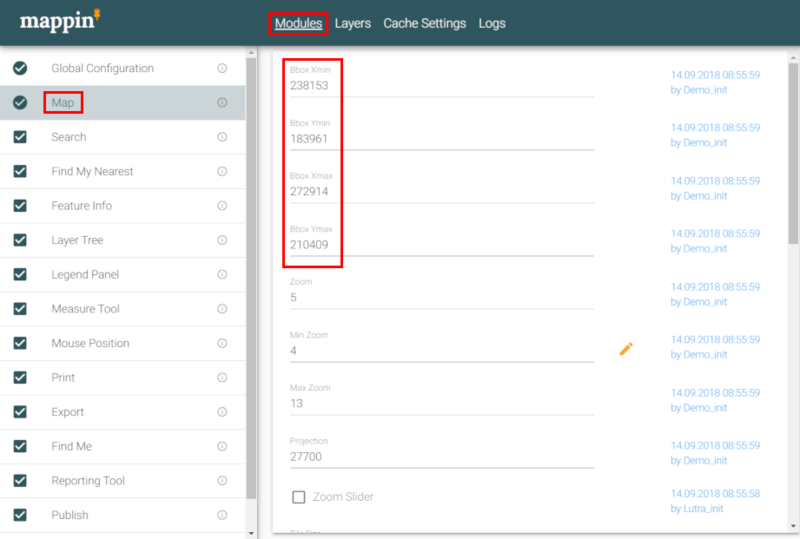 The Find Me tool has the following settings. When the Find Me tool is activated Mappin centres the map on the reported location and zooms to this zoom level. There are some other configuration options related to the Find Me tool.